Good things come in small packages, like these tiny ornaments made with wooden thread spools, paper and beads. 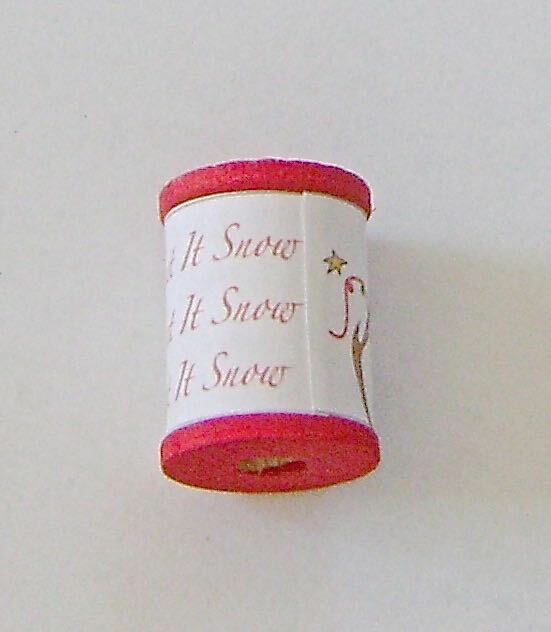 The spools measure one-inch tall and carry three themes; “Let It Snow”, “Tis The Season”, and “Fa la la la la”. I’ve designed the templates for you. All you have to do is print them, cut them out and glue them to the painted wood spools. Add your own special beads at the top and bottom along with fancy hangers. You can make these little treasures in minutes. On a tight budget? These ornaments won’t break the bank. 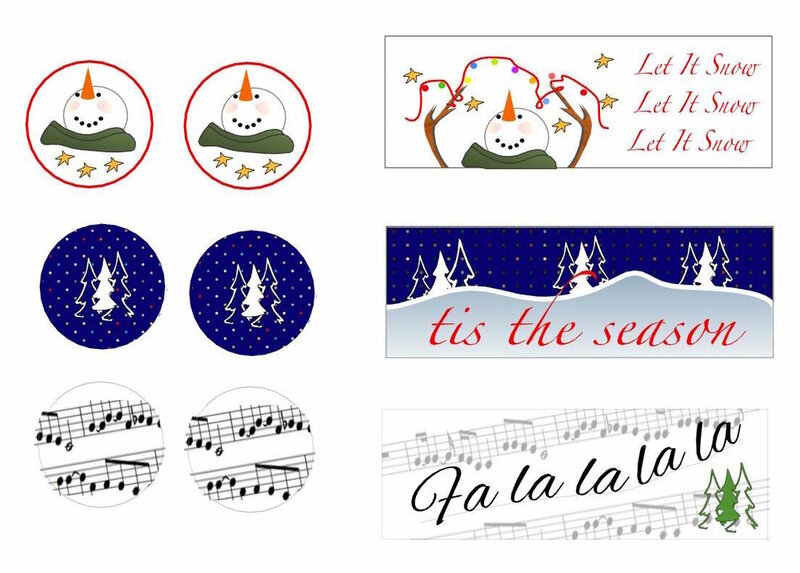 Create several for your tree or give them as gifts to friends this holiday season. step 1 - Paint the tops and bottoms of the spools with red craft paint. step 2 - While the paint is drying print out the templates on regular printer paper. Cut out the images just inside the grey borders. step 3 - Apply glue to the middle of the printed strip on the wrong side. step 4 - Stick the middle of the strip to the spool and wrap the ends around to see if they will align properly. If they don’t, realign the strip. step 5 - Once you’re sure it’s straight, apply glue to one end of the strip and adhere it to the spool. Apply glue to the opposite end and overlap the first end. step 6 - Cut out circles slightly smaller than the template from seam tape or some other thin, textured ribbon or fabric that can be punctured with a wire. The fabric will prevent the center wire from tearing the paper. step 7 - Slip a bead onto a head pin wire. Push the wire through the center of the spool. step 8 - Holding all the pieces taught, bend the wire into a 90 degree angle over a sharp-edged object like a metal ruler. step 9 - Use round nose pliers to create a loop in the wire for hanging.